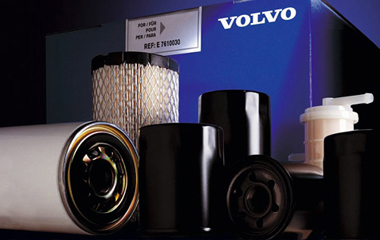 Volvo Certified Used Equipment checks all the boxes. Tuesday, March 26. Milton, Ontario, Canada. 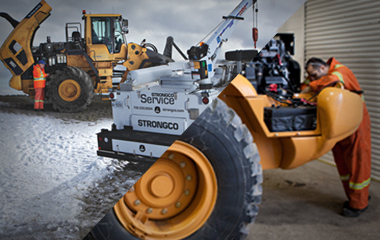 Strongco is proud to represent leading equipment manufacturers with globally recognized brands, including Volvo, Case, Manitowoc, National, Grove, Terex Cedarapids, Fassi, Sennebogen, Konecranes and SDLG. Our factory-trained technicians and field service professionals are outfitted with the latest in computer technology and tooling to quickly diagnose your machine and maintain your equipment at peak performance. Strongco supplies the parts you need to keep your equipment running like new. We carry a comprehensive inventory throughout Canada. We use a regional stocking philosophy at all of our locations with inventories of the most common parts required by our customers. Solutions for the aggregates and quarries, mining, construction, road-building, and demolition and recycling industry segments.